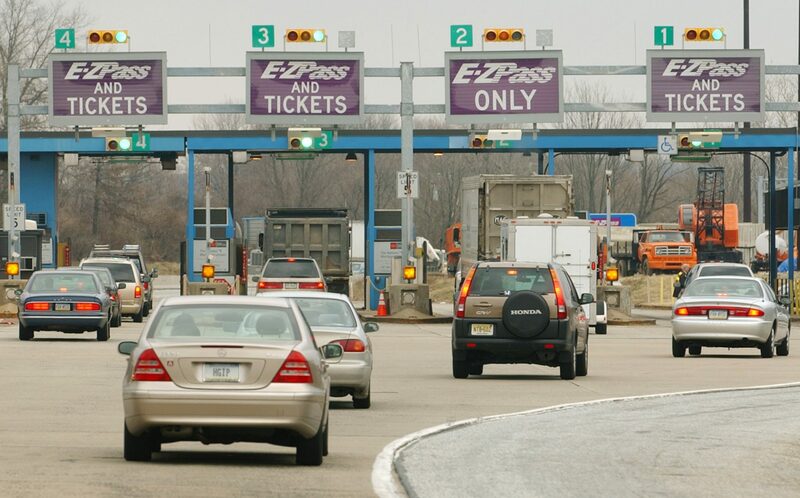 Tolls on the Pennsylvania Turnpike have increased 200 percent since 2009. Turnpike officials say although the lawsuit pressure is off for now, their decades-long schedule of toll increases isn't sustainable. (Harrisburg) – The Pennsylvania Turnpike got some rare good news on Thursday. That’s because the turnpike’s woes don’t affect the toll road alone. The commission’s finances are complicated, and closely intertwined with PennDOT and the many projects it oversees around the state. In 2007, the legislature and then-governor Ed Rendell passed Act 44, a law that mandated the commission pay $450 million to PennDOT every year. The money goes toward transportation-related projects around the commonwealth. The turnpike took on debt in order to make that annual obligation—today, about $6 billion of its total load stems directly from its PennDOT payments. In order to service the debt, the turnpike has raised tolls every year for the last decade—a 200 percent increase overall. In 2013, the legislature passed an update to Act 44. Act 89 began routing all PennDOT’s cash for the turnpike to mass transit projects, and crucially, dictated that in 2022 the commission’s obligation would be reduced to just $50 million annually. The rest is slated to be filled with revenue from vehicle sales taxes. But that doesn’t mean the tolls will go back down. The Turnpike Commission’s CEO, Mark Compton, said in a statement that while he’s pleased about the provisional victory, the turnpike isn’t out of the woods. Most Pennsylvania officials—from Democratic Governor Tom Wolf to Republicans and Democrats in the House and Senate—appear to agree on at least the existence of a problem. Most of those suggestions likely won’t fly in the GOP-controlled House and Senate, where lawmakers have been steadfastly opposed to tax increases of any sort. Spokespeople for House and Senate Republicans both said it’s too early in the state budget process to comment on any specific proposals. But, Martina White, the Philadelphia Republican who chairs the House subcommittee on public transportation, confirmed she’s paying attention to the issue. “I believe we must value taxpayer dollars while ensuring that necessary investments in our transportation infrastructure are made so Pennsylvania can become more economically competitive and create good paying jobs for Pennsylvania workers,” she said in a statement. Governor Wolf has pitched his own plan, dubbed Restore Pennsylvania, to bulk up the state’s infrastructure investment. While it’s not necessarily aimed at helping the turnpike, it does include funds for the public transit expansions currently covered by the commission’s payments to PennDOT. However, most Republicans have rejected the governor’s proposal, as it is funded primarily through a severance tax on the natural gas industry that they broadly oppose.